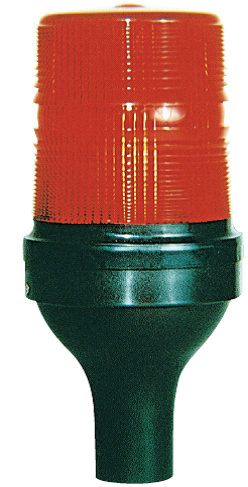 Sirena Stroboflash Xenon Strobe Beacons are a high output, large size beacon, engineered for industrial applications. Stroboflash offers versatility via customisable mounting accessories as well as excellent optical performance, making it adaptable to a wide variety of situations. – Flash rate: 65fpm +/- 10. – Flash energy: 15J xenon strobe. – Adaptable with surface or tube mounting versions. – Heavy duty construction; protective cage option, aluminium base, shock resistant. – Temp rating (degrees C): -30 to +40. – Cable entry: Through base. – Construction: Aluminium base, polycarbonate lens & steel guard option. – Available with amber, blue, clear, green, red, yellow lens colour. SIR2302450 Surface mount (N), 12-24VAC/DC, 2.5-1.2A, candela: 21500(p). SIR2311060 Surface mount (N), 110VAC, 130mA, candela: 4600(p). SIR2324060 Surface mount (N), 240VAC, 150mA, candela: 16500(p). 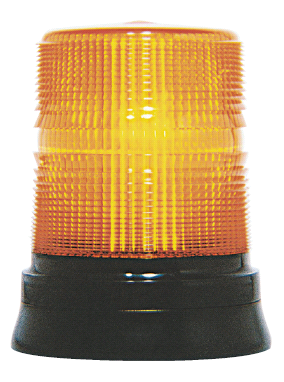 SIR2302455 Tube mount (AG), 12-24VAC/DC, 2.5-1.2A, candela: 21500(p). SIR2311065 Tube mount (AG), 110VAC, 130mA, candela: 4600(p). SIR2324065 Tube mount (AG), 240VAC, 150mA, candela: 16500(p). SIR3600001 Stroboflash lens (specify colour) accessory. SIR3823010 Stroboflash N wire guard accessory. SIR3999200 15 joule xenon tube accessory.